For centuries Mexico City dominated the country. Political leaders during the colonial period and the nineteenth century concentrated power and wealth in the capital city, and for many people the metropolis was Mexico. This view of the monolithic influence of Mexico City took on new meaning during the reign of Porfirio Díaz from 1876 to 1911. He imposed a strong centralism and subordinated regional concerns to presidential prerogative. 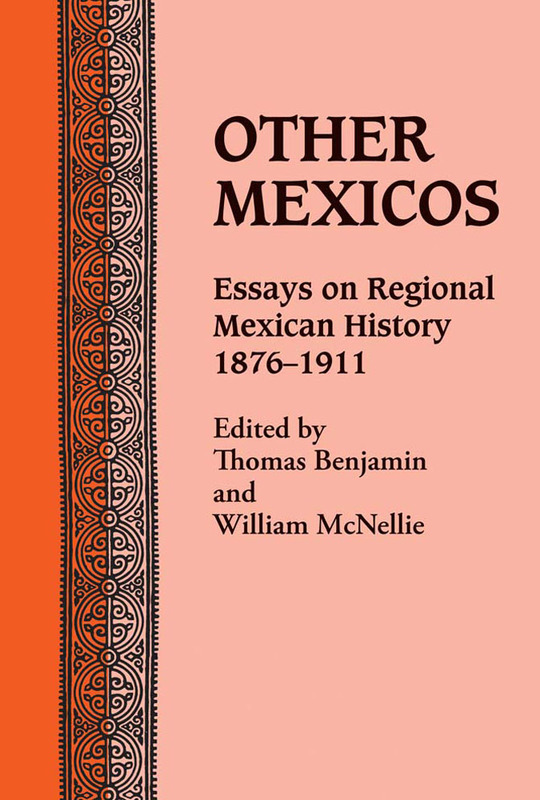 Yet, as the essays in this volume emphasize, a rich regional diversity persisted in Mexico during the Porfiriato. Examined in this volume is the neglected field of Mexican history at the regional level during Díaz's long rule. The panorama of regional perspectives and center-periphery relationships includes essays on eight states that combine original research and synthesis. These chapters present political, economic, and social developments in specific regions, based on long-ignored archival materials and new points of view. An introductory chapter gives an overview of the period, and the final two chapters respectively indicate promising opportunities for additional research and provide a selection of suggested readings. Thomas Benjamin is a professor of history at Central Michigan University and recipient of the 1980–1981 Doherty Fellowship for Advanced Study in Latin America. William McNellie received a PhD in Latin American history from Michigan State University and is a historian employed by the U.S. government.